Juan Moreira-Hernández has been busy since returning to St. Louis after two months of field research in Ecuador. The University of Missouri–St. Louis doctoral student in biology still has samples to analyze and data to collect from his time away, but a more pressing concern has been the deadline he’s facing to complete and defend his dissertation proposal later this month. Moreira still made time March 21 to head to Jennings Senior High School to take part in its career day. He and other biology graduate students visited with interested junior and senior high school students and told them about the kind of work they could be doing if they pursue studies in biology or science more generally. It wasn’t Moreira’s first visit to the school. 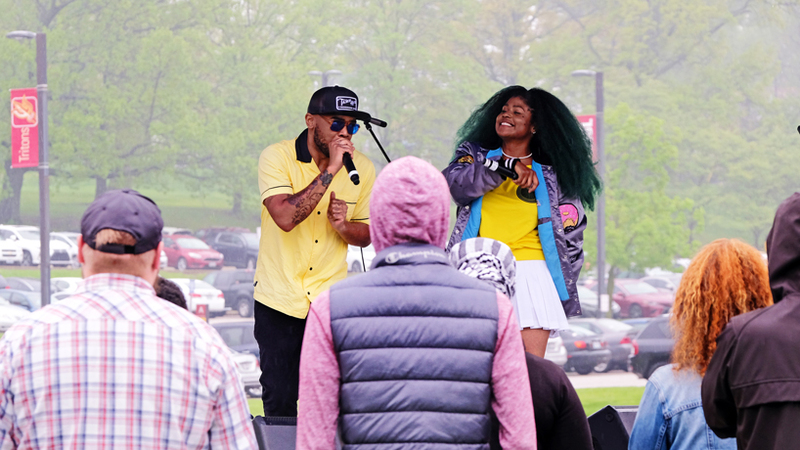 In fact, he’s been there almost monthly the past couple years as part of the Jennings-UMSL Mentorship Program, an outreach program sponsored by UMSL’s Whitney R. Harris World Ecology Center. Some activities they carry out with the students include searching for parasites in bird blood samples, examining pinned insects under a dissecting scope, playing an online epidemiology game and taking day trips to some of St. Louis’ many science-related attractions such as the Missouri Botanical Garden, Saint Louis Zoo, Saint Louis Science Center, Endangered Wolf Center and World Bird Sanctuary. “The main goal of the JUMP program is for them to really get excited about continuing their education and explore their interests,” Moreira said. His work with Jennings is not the only way he’s gotten involved since coming to UMSL as a Fulbright Scholar three years ago. 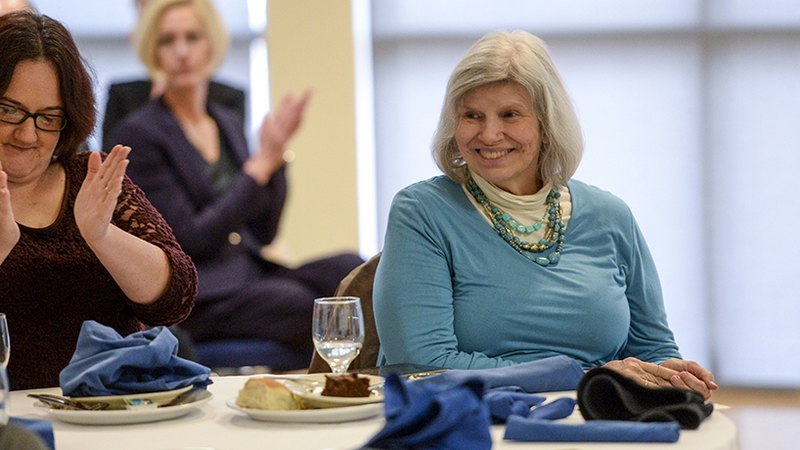 He served as president of the Biology Graduate Student Association and regularly attends – and sometimes even leads – discussions on different topics related to plant biology at the botanical garden. 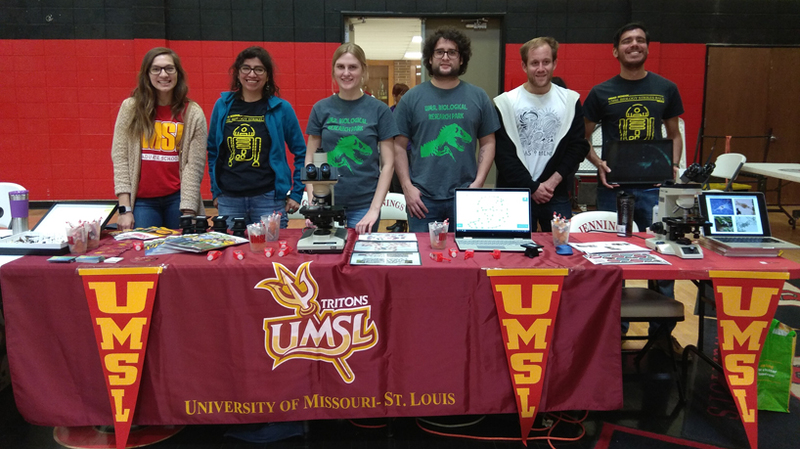 He also participates in educational bat surveys for the public in St. Louis through the nonprofit Wildheart Ecology, founded by fellow bat biologist and UMSL and Harris Center alumna Vona Kuczynska. Moreira’s own fascination with nature grew out of his childhood in Costa Rica, a country noted as a hotspot for biodiversity with a booming ecotourism industry. 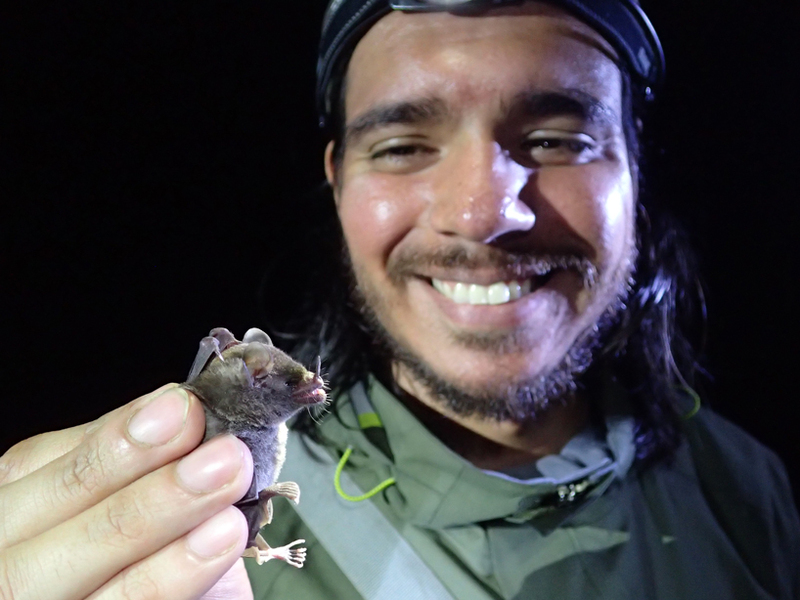 Juan Moreira-Hernández holds one of the nectar-feeding bats he’s been researching in his native Costa Rica and Ecuador. He grew up in the capital of San José, a metropolitan area of about 2.1 million people located near the center of the country on a plateau surrounded by mountains. But it was during trips to visit relatives in the southern part of the country that he grew to love the natural environment. He knew early on that he wanted to find a job that would allow him the opportunity to spend time outside the city, and he quickly developed a desire to help preserve the world around him. 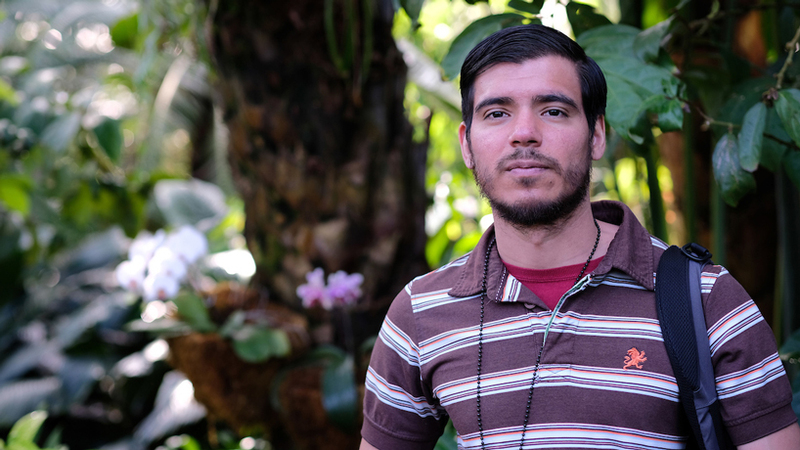 Moreira wound up enrolling at the University of Costa Rica after high school, and he earned bachelor’s and master’s degrees in biology there with emphasis on the ecology of tropical plants. He was still working on the master’s and involved in a project to study seed dispersal of a rainforest tree by toucans and monkeys when an Australian friend invited him to assist on her project involving bats. Moreira knew a little about the role bats play pollinating flowers and dispersing seeds, but he’d never seen one up close. “I remember the first night, we set up nets, and we just waited there, and we got a nectar-feeding bat in the first 20 minutes or something,” Moreira said. 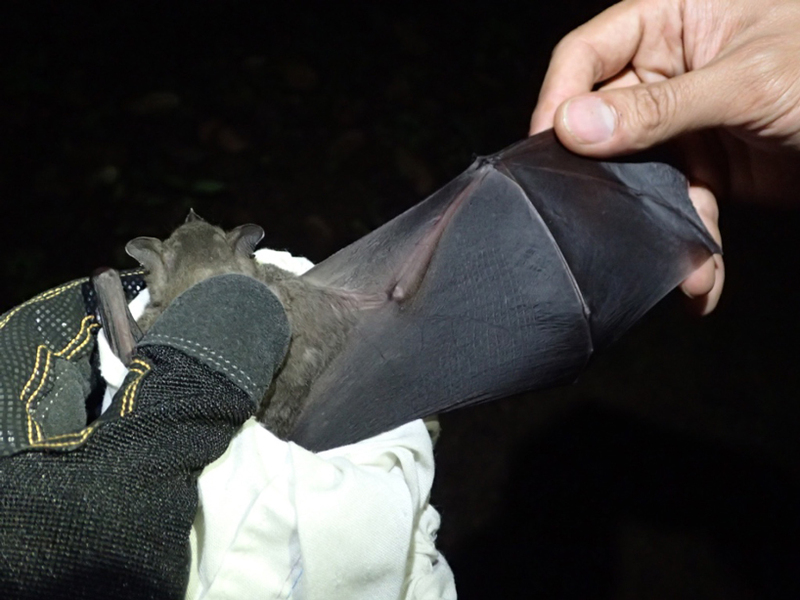 Juan Moreira-Hernández shows off the wing of a nectar-feeding bat. His friend showed Moreira how to extract it from the net and, while wearing gloves, Moreira got to examine it in his hands, observing features like the fur on its body, its tiny feet, its long snout and tongue and the structure of its wings. “I was immediately hooked,” he said. Moreira didn’t decide on the spot he was going to make bats a central part of his future research, but it was a strong possibility as he applied to PhD programs in the United States in 2016. He was quickly intrigued when he learned of UMSL Assistant Professor Nathan Muchhala’s research on evolutionary ecology of pollination systems, which examined the role of bats. 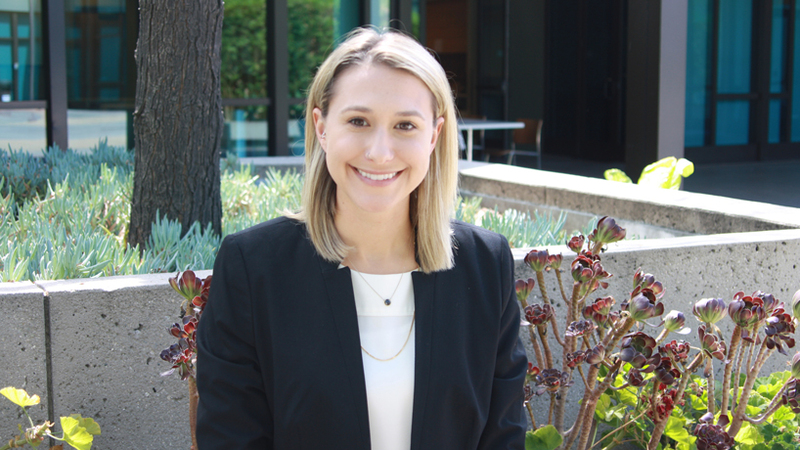 Moreira reached out to see if there’d be an opportunity to join Muchhala’s lab. “My research is focused in the tropics,” said Muchhala, who is UMSL’s delegate to the Organization for Tropical Studies, a consortium of more than 50 universities, colleges and other institutions, with field stations in Costa Rica. “He clearly already had the experience working in tropical rainforests. He’s a Spanish speaker, and I could tell that he was really motivated. Moreira was also considering an opportunity at the University of Florida, but he’d gotten positive reviews of UMSL’s PhD program from two of his former professors at the University of Costa Rica, Gerardo Avalos and Gilbert Barrantes Montero, who’d both earned their degrees with support from the Harris Center. Moreira also liked the extra amenities to be found in a big city and the opportunity to experience seasons, and a conversation with countryman and current student Miguel Chaves Fallas helped solidify his decision to choose UMSL. 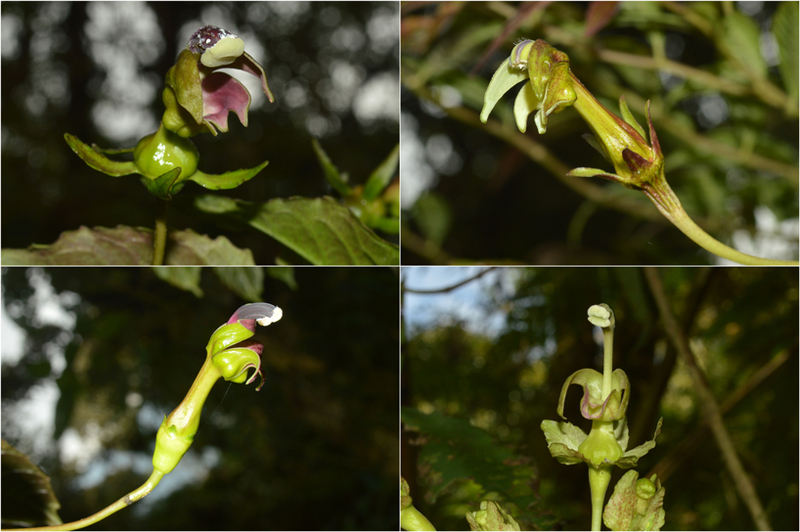 Bats play a crucial role in pollinating neotropical bell flowers. Moreira has been an exceptional student. He’s already started fieldwork in both Ecuador and Costa Rica, specifically examining the interaction between nectar-feeding bats and neotropical bell flowers of the genus Burmeistera that are close relatives of the cardinal flower found in the United States. His first dissertation chapter has been accepted for publication in the Annual Review of Ecology, Evolution and Systematics, and he’s already submitted a second paper based on his original bat pollination research to the International Journal of Plant Sciences. Moreira will continue to build on his research as he looks toward his expected May 2021 graduation date. His options for what he’ll do after graduation remain open. Forging a career in academia is one possibility, but Moreira might also explore opportunities in outreach that could allow him more interaction with the public and the chance to influence policy.